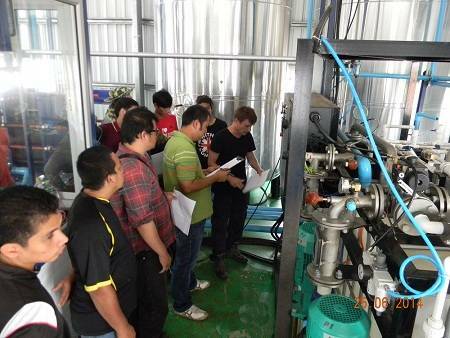 27 June 2014: all commissioning work for supply and preparation of water bitumen emulsion in Thailand were completed. GlobeCore specialists commissioned UVB type unit for bitumen emulsion water phase production and trained the customer’s personnel. Preparation of the water phase is one of the stages in the production of bitumen emulsions. Apart from the plants made individually for retrofitting into existing process lines, the company also produces UVB-1 units for production of bitumen emulsions for road repair and construction, water proofing of buildings and production of soft roofing materials.